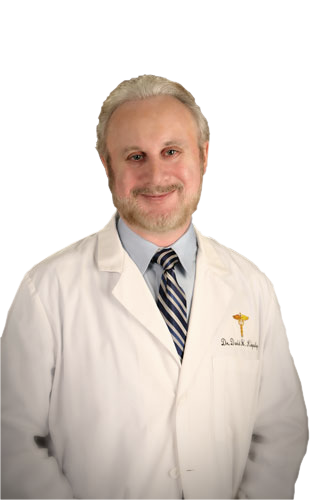 Dr. Kingsley is an adjunct member of the American Academy of Dermatologist. He is the only trichologist in the world to have been granted membership to this prestigious organization. 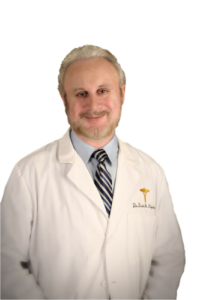 Dr. Kingsley is the President of the World Trichology Society, and is a member of the North American Hair Research Society and the International Society of Hair Restoration Surgery, among several other boards and organizations. Dr. Kingsley’s patients include royalty, famous actors, actresses, musicians, and well-known dignitaries. 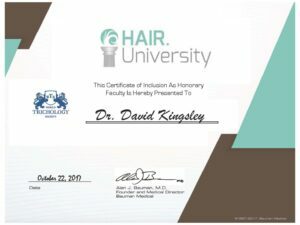 Dr. Kingsley is a professor of trichological studies at the World Trichology Society, and is also an honorary faculty member of Hair.University.